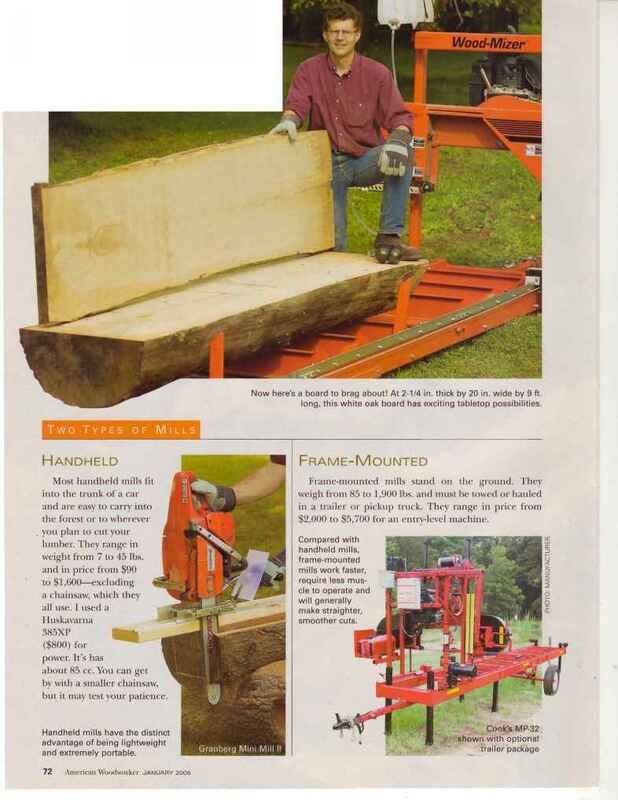 From $90 to $6,000, there's a machine for anyone who has ever dreamed of making lumber. A all love wood, whether it's a wide clear board * or a gnarly slab with wild grain. That's why saw ing our own lumber crosses the minds of most woodworkers. It might be inspired by the sight of a big tree blown down by a storm, a custom tabletop made from only one or two slabs of unusual wood or the thought of free wood. 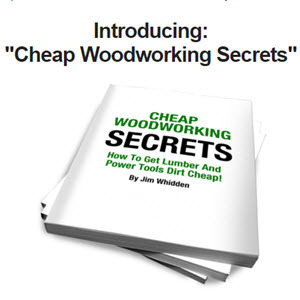 Whatever reason, the idea of do-it-yourself lumber making holds a certain amount of intrigue for most of us. 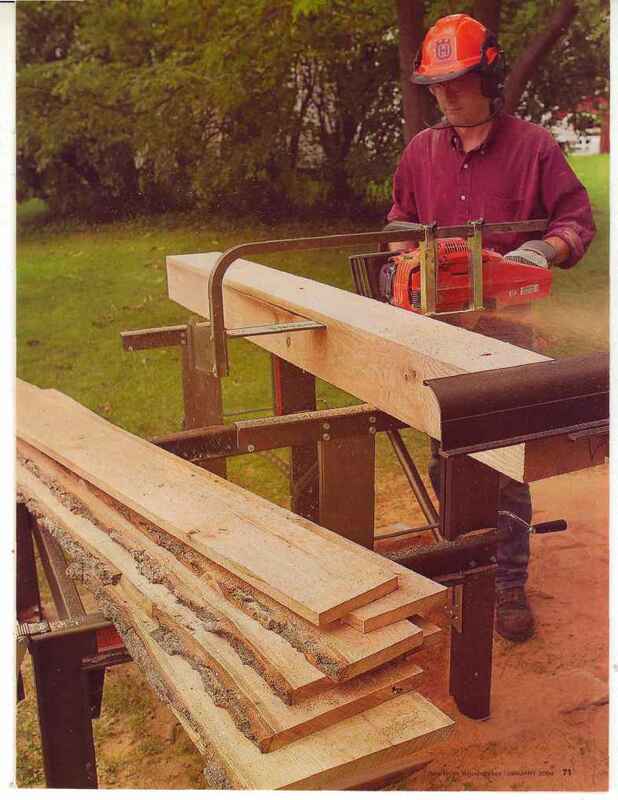 ^ / ieldmg to my own euriosity about W lumber making, 1 checked out nine JL. sawmills ranging in size from very small to medium. The mills fall into two broad groups: handheld and frame-mounted. The Mini Mill II attaches directly to the chainsaw bar with I wo bolts. 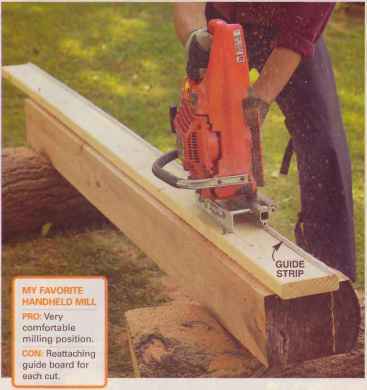 The mill follows a metal guide strip that you screw onto a 2x6 guide board. The mill comes with six 2-ft. sec-dons of guide strips, but you can purchase more. The guide board mounts to the log with two nails at each end and must be reattached for each cut. The upside to attaching the guide board each time is that each cut will be as straight as the guide board. I found the vertical operating position surprisingly comfortable, because you do almost all the pushing with your arms and legs rather than your back. I raised the log on a pair of supports to keep the tip of the chainsaw bar from hitting the ground. I made this 8-in. x 8-in. x 8-ft. oak beam in about 20 minutes. Cost: $90, without chainsaw. Weight: 7 lbs., without chainsaw.